Consumers want to know that their data is safe. Data security breaches including Twitter, Tesco, LinkedIn and Yahoo have raised consumer concerns. Not surprisingly, consumers are increasingly cagey about sharing their data. But with sharing comes benefits for consumers and businesses alike. Individually identifiable data combined with advances in analytics drives personalized offers. It also helps ensure that consumers only receive advertising that is relevant to them. So, are consumers right to be so defensive of sharing their data? In 2018, the new EU General Data Protection Regulation will come into force. This will give consumers more control over what their data can be used for. It will also provide more stringent guidelines on data security. There is an opportunity for companies to share the benefits of enriched data capabilities. 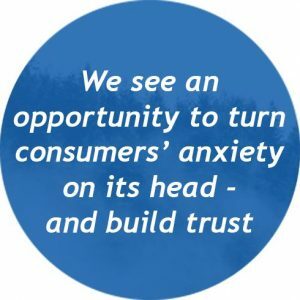 We see an opportunity to turn consumers’ anxiety on its head – and build trust. With British Gas Connected Home customers can compare their gas and electricity consumption with their peers online. They can then see if there are opportunities for them to save on energy costs. British Gas is not only delivering a financial benefit but simultaneously building trust. 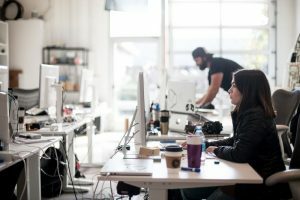 Although the initiative may seem counterintuitive, it has proven successful in creating long-term customer value and loyalty. We believe that organizations should be bold in their use of customer data. It is reasonable for consumers to expect a return for their personal data. In exchange, companies must take a long-term view of customer value. The British Gas Connected Home example services as a shining example to others.